Weeks have passed since you were last taken captive. The days are still long and hard but you have grown better at coping. Ramsay lets you leave the room everyday now to take strolls and you even occasionally socialize with friendly people. 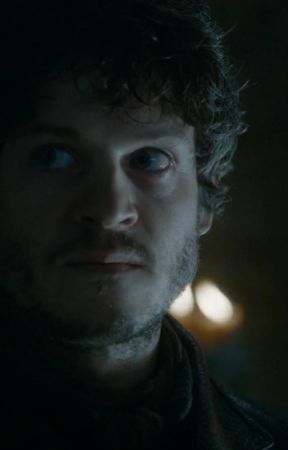 Unfortunately, your plan of trying to find a way out never worked out for you because of the fact that Ramsay ordered one of his soldiers to always keep an eye on you when you were outside of the room. 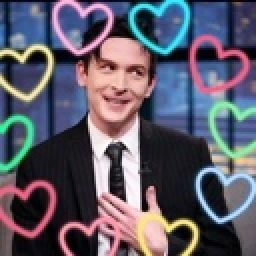 Your interactions with Ramsay are still as frustrating as ever, but he has surprisingly never hurt you. He doesn&apos;t sleep in the same room as you which makes things a lot better. He is a complete mystery to you still. He is crazy and evil towards other people which makes everyone fear him but has never acted that way towards you. You don&apos;t know what to make of this. Part of you wants to hate him for taking you away from your own house and forcing you to marry him, but another part likes the fact that a guy who is vicious towards everyone acts differently towards you. It makes you feel special, and occasionally you find yourself questioning if you could change him, maybe help him to become a better person. Maybe all he really needs is someone to care for him. You are sitting, bored at the table, when you decide to take a walk around the house. You walk over and open the door to reveal Ramsay&apos;s solider guarding the door like he always is. "I&apos;m going for a walk" you say without looking at him and push right by annoyed by the fact that this guy has been following you around for weeks. You walk down the hall and down the stairs, opening the front door and inhaling the fresh air. Its nearly dark out, so there aren&apos;t very many people around. Sitting down on the steps you look up at the night sky. After a couple minutes, you stand up getting ready to go back inside when a shadow catches your eye. You look in front of you to see another guard from house Bolton smiling at you. "Evening, my lady" he says smiley shyly. "Good evening" you say smiling back at him and quickly turn back around to walk inside. The guard grabs a hold of your hand, stopping you from leaving. "I- I just wanted to say, If you ever need anything, just let me know". You think it&apos;s a little odd that a guard has taken such an interest in you. He must have seen you a different time and taken an interest but you were to busy to notice. "Thank you, that&apos;s very kind of you." you say trying to keep your voice down as Ramsay&apos;s solider is not far. You open your mouth to tell him that you really must get going inside when you hear the door open behind you, Ramsay stepping out. You quickly rip your hand out of the guards grasp and turn to face Ramsay. "I was just going inside my lord". You try to step inside but Ramsay&apos;s blocking the entrance. Ramsay looks from you, to the guard and his stare intensifies. You can see the anger in his eyes as he walks towards the guard and punches him so hard, the guard lands on his back. Ramsay grabs him by the neck standing him up again and spits his words at him. "You may be a guard for house Bolton but that won&apos;t stop me from killing you. She isn&apos;t someone you can just speak with and if I ever see you talking to her again, I&apos;ll be sure to flay you alive". He pushes the guard with such force it almost knocks him over. The guard looks stunned but bows before his authority and rushes away. Ramsay turns towards you, anger still in his eyes. Before you can open your mouth to explain, he walks over and grabs you by the arm, pulling you hard behind him as he leads you back into the room.